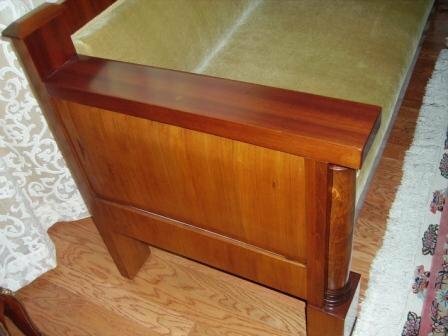 A Biedermeier Sofa, Cherry veneer with curly birch engaged columns on block feet. 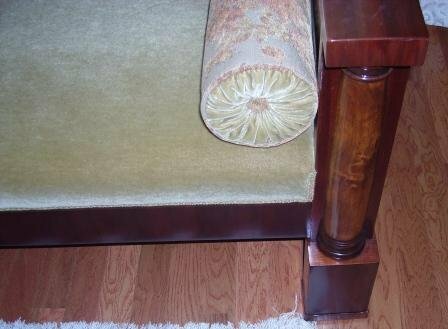 Upholstered in light color mohair fabric. 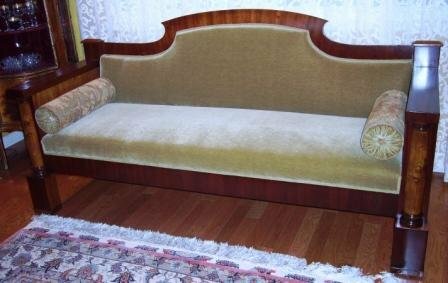 Items Similar To "Biedermeier Sofa"